Among all this new-age emo stuff, there’s lots to enjoy, and lots to ignore…if the genre even hits close to home. But, I’m really enjoying Gladiola and what they’re bringing up here. 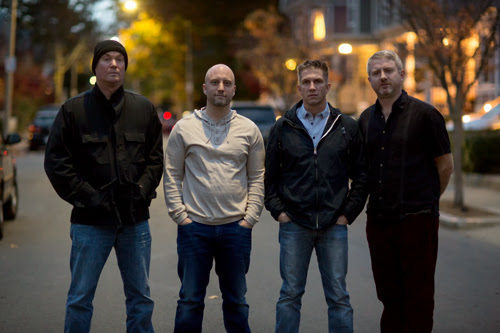 They seem to encapsulate the genre’s tendency to stretch out the vocal a la Superchunk, then turning it into a calmly backed pop moment like the Get Up Kids. Still, the opening moments even recall some parts of Drive Like Jehu…reaching out for the scratchier moments of it all. Mix that all together and looks like the band’s new album, This Year’s Storm, will be a hit come it’s release in February. It was quite a night for Team ATH at The Mohawk earlier this week. Nathan is Emo kid. Hashtag child of he nineties. I relate. He gets excited about The Get Up Kids like I get excited about The Cure. That was the outside show. 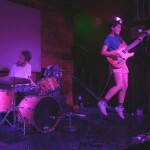 The inside show later was Diet Cig, a two-piece that has been heaped praise upon by us and much of the intarwebs. Turns out, they got in early to hang out and watch their openers, heh. 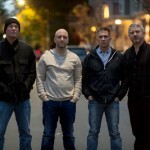 Those of you who consider yourself fans of emo, old and new, will want to be on hand at the Mohawk on Wednesday night. You’ll be treated to the legendary emo godfathers, The Get Up Kids, playing their 20th Anniversary Tour. 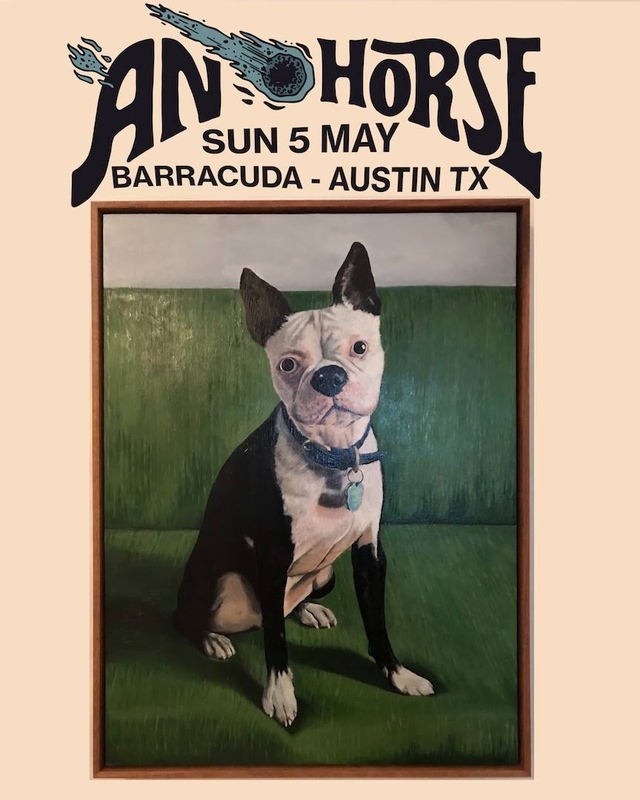 They’ll be playing with Josh Berwanger and Hotelier; I can tell you that the last time they came through it was nothing short of a 2 hour long singalong. 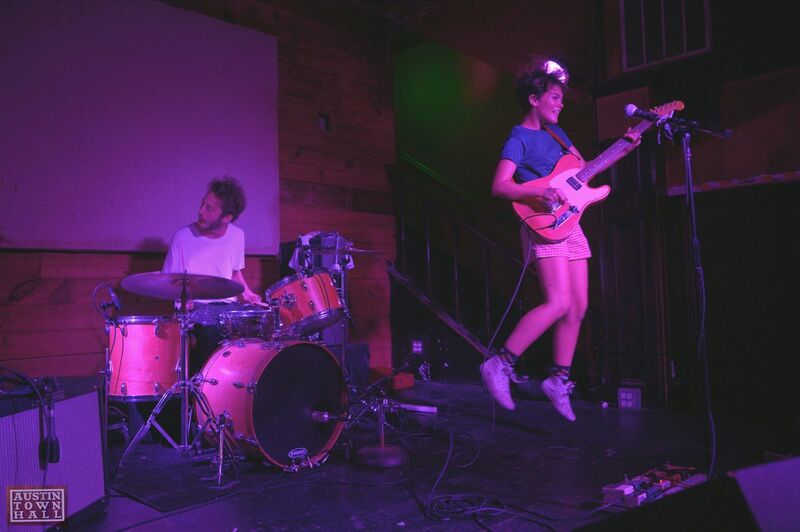 But, I also implore you stick around that night and watch Diet Cig, who’ve released a couple of endearing EPs via Father Daughter Records. Honestly, there’s not a better way to celebrate the genre, or just good music in general, so make you have it on your schedule. Pleasure Venom will open the evening for you. If you’re looking for a show to take you back in time, all the way back to the late 90s Emo scene, then perhaps this is where you’ll need to be. I can’t vouch for some of the singers doing their solo gig, but I hear they were a big deal. 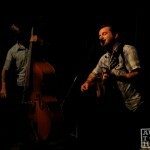 However, I can advise you, if you can afford to go check out Matt Pryor and Chris Conley. Chris is part of Saves the Day, where a small part of me still has a bit of love. 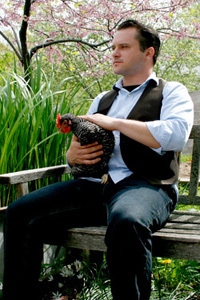 Matt Pryor, however, has continued to step outside his work with TGUK and promote his solo work. 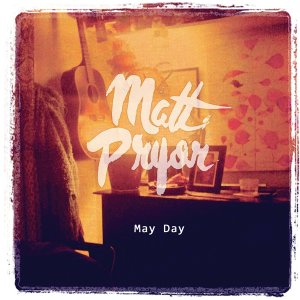 His latest, May Day, is just another step in the right direction for a man who clearly knows his way around an acoustic track that warms your soul. I’ll be there for Matt for sure. I’ll admit that there’s definitely a soft spot in my heart for Matt Pryor, though I was less than enthralled with his last effort with former band The Get Up Kids. Yet, despite that misstep, he’s always had a great ability to craft songs with lyrics that somehow find attachment to my heart. Love him or hate him, you can’t deny that he’s been warming his way into our hearts from the get-go, and May Day is just another example of his perfectly executed work. “Don’t Let the Bastards Get You Down” opens the record, and the title alone should make it a timeless song, as we’ve all been in those shoes. But, what really stuck out to me is the rough quality of the recording that’s present. It sets the tone for May Day, providing listeners with a personal experience that’s both raw and beautiful. “The Lies Are Keeping Me Here” similarly accomplishes the same note, particularly when Pryor’s vocals strain in the middle track. You’ve got to appreciate a singer who’s willing to give his all on the microphone and his music. While Matt Pryor’s work of the last few years has definitely held a hint of melancholy, he’ll craft a nice little ditty to catch you in its hooks. Such a song is exemplified in “Where Do We Go From Here,” a song that features a playful piano line that works its way behind a nicely strummed guitar. I think he even makes a nod to “worse for the wear,” which old Pryor fans will surely recognize (I hope!). For the most part, this is about as bright a moment as you’ll find lurking on the album, as the rest takes on a rather serious tone. Still, one of the things fans of Matt’s solo work will appreciate is his ability to really step outside our expectations with inclusions of multiple instruments on his solo outings, such as harmonica, banjo and various other nice touches. “As If I Could Fall In Love Again” might do it’s best to incorporate all these elements into one song–but Matt’s background vocals are probably the best touch to this particular track. But, just as he’s likely to fill up a song with instruments, he’s also willing to strip everything down to its rawest form on May Day. “As Lies Go..This Ones Beautiful” is basically a stripped down, personal ballad, with Pryor’s voice taking the lead role here. He’s always been a little off-pitch, but that’s always been something that made him endearing. Here, you’ll find him as stark-naked as a musician as you’ve probably seen him, and you’ll be rewarded. 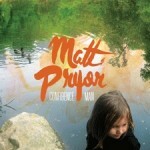 I’m predisposed to love Matt Pryor, but I’ll admit dissatisfaction when it’s warranted. However, there’s not a bad track on the duration of May Day; each track has its special moments, some more so than others. I suppose you could complain that there’s no incredible songs blowing you away, but it’s better to look at this record as one full of really good tracks. Whether you grew up listening to the old emo, of which TGUK and Pryor owned, or you’re just encountering him, one listen here will bring you vast listening pleasure, the likes you won’t really find elsewhere in the current climate. 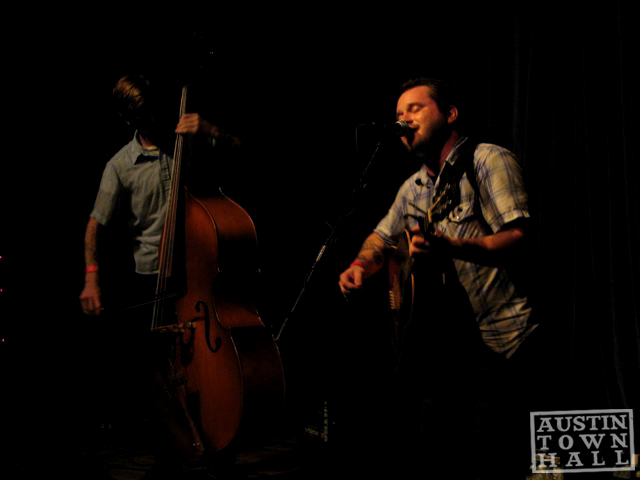 The Get Up Kids on Daytrotter! Sure, we love the in-house sessions on Daytrotter, but they’ve outdone themselves, at least in our nostalgic eyes. They just ran The Get Up Kids session, which includes classic tunes like “I’m a Loner Dottie, a Rebel,” not to mention the inclusion of a Vitreous Humor song. To top it all off, there is a brand new song, said to be one of nine. Could it be? Are they back for good? I hope so! Looking back at my sad excuse for a life, I realize that my obsession with music had to begin at some point. I flirted with metal, as I alluded to last week, but mostly I found my love in classic California pop music and punk rock. Along the way, I meandered a bit off the path, as most did during the late nineties. Where did I land? I landed in the wonderful world of emo. Sure, you’re thinking that I shopped at Hot Topic and couldn’t get Fall Out Boy out of my head, but I’m talking about the predecessors to the entire scene; well, the predecessors of the predecessors. I’ve devoted this week’s Top 5 to my one true love, emo. We’ll call it my Pop 5 Emo Records, and the countdown is after the jump. Austin Town Hall caught up with Matt Pryor before his solo show at Stubb’s on Saturday night to talk about The Get Up Kids, Reggie and the Full Effect, family and the current state of music. Interview after the jump. Admittedly, I was way into that new-Emo that came out of Lawrence back in 1997. I was hopelessly devoted to The Get Up Kids, and traveled to see them over a dozen times. I followed Matt Pryor, the lead singer, onto his New Amsterdams project. Now, he has a solo release, done completely on his own. I couldn’t be more excited. It comes out July 29th on Vagrant. You can listen to the album Confidence Man at Matt’s MySpace page.